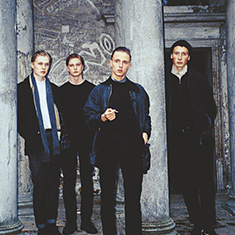 Communions have surfaced over the last few years from the noisy punk and electronics scene that has been booming in Copenhagen. 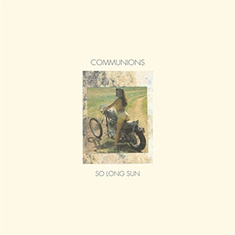 Sprouting from the same Nordic terrain as bands like Lust for Youth and Iceage, the sound of Communions is characterized by shades of pop and bright post-punk melodies. After their debut EP release at the end of last years, the quartet have just shared a brand-new one. The self-titled 5-track EP was recorded in Copenhagen and was just released this month via Tough Love Records. We last saw the Danish four-piece a year ago playing with First Hate; we’re pleased as punch that they also had a good time and agreed to return to de Nieuwe Anita to share more Communions with us. Supporting the night is the Leiden based Purple Noise Record Club member group Torii.